Garage Museum of Contemporary Art is expanding its support for Russian contemporary art. 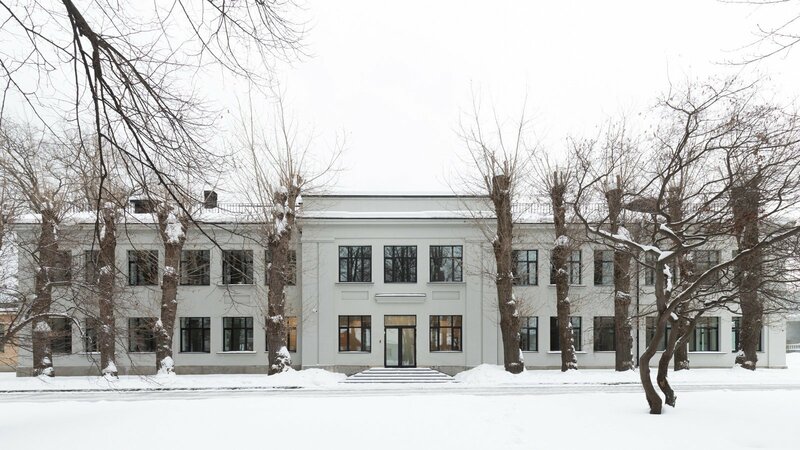 In February 2019, Garage Studios and Artist Residencies opens in a specially redesigned building in VDNKh, the first such initiative by a museum in Russia. The aim of the program is to create opportunities for Russian and international artists and curators to develop, communicate, and share skills, knowledge, and networks. It will help regional artists to integrate into the art scene in Moscow, forge international collaborations, and foster public interaction and engagement with artists as they work. Garage Studios is part of the museum’s wider program of support for Russian artists, which also includes grants for contemporary artists (since 2012) and Garage Triennial of Russian Contemporary Art (since 2017). Garage Studios and Artist Residencies comprises 18 separate working spaces, a shared workshop, and a painting studio, all located in a postconstructivist pavilion at VDNKh, which was built in 1939. It was originally designed as a model school building for 280 students and was later adapted to operate as a polyclinic. In 2017, the building was transferred to Garage. Architects FORM remodeled the space as studios, while retaining the historical features of the building. This is the principle Garage employs in all of its reconstruction projects. The building’s new function is an ideal continuation of its original purpose as a space designed for learning in comfort. Fourteen studios are offered as work spaces for Moscow-based artists for six months, while the remaining four are reserved for artist residencies, where artists from Russia’s regions can work for up to three months. From 2020, the program will be extended to include artists from abroad and Russian and international curators. The call for applications will be announced separately. The first group of artists to work at Garage Studios was selected by the Museum’s curatorial committee. January to April: Gorod Ustinov Micro-art-group (Izhevsk), Olga Zhitlina (St. Petersburg), Sasha Saltanova (Yekaterinburg), Anna and Vitaly Cherepanov (Nizhny Tagil).